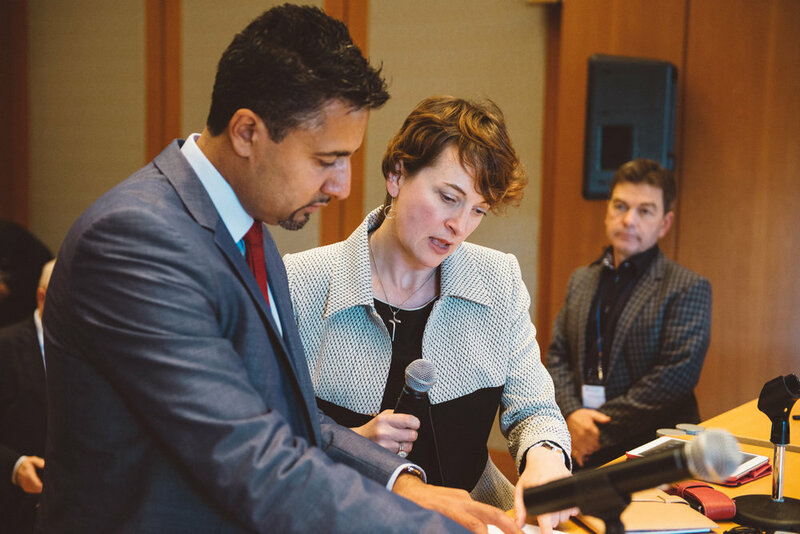 A small group of parliamentarians from several countries gathered in Oxford, United Kingdom to discuss ways to confront religious freedom abuses. An agreement was reached to begin to build a wider international coalition in defence of religious freedom. 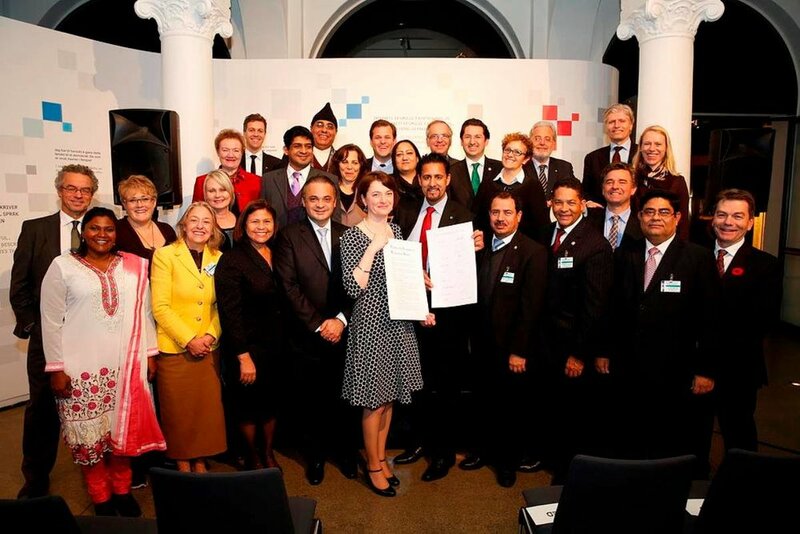 This plan became reality as the International Panel of Parliamentarians for Freedom of Religion or Belief is launched in Oslo, Norway at the Nobel Peace Center.  It is here that 30 parliamentarians signed the Oslo Charter – the founding document of IPPFoRB, an expression of common goals, and a declaration of commitment to freedom of religion or belief for everyone, everywhere. The parliamentarians also signed two advocacy letters (Myanmar, Pakistan) in response to the growing threat of religious persecution in particular countries of concern. The IPPFoRB Steering Committee and members of the IPPFoRB Secretariat met in Washington, DC to discuss follow up from the Oslo meeting, to grow the network, and to plan the First International Parliamentarians Conference in New York City. The signing of the New York Resolution on Freedom of Religion or Belief, committing signatories to renewed action to promote religious freedom. The signing of three advocacy letters by conference participants (Myanmar, Iran, Vietnam) in response to the growing threat of religious persecution in particular countries of concern. The drafting of Civil Society Recommendations. 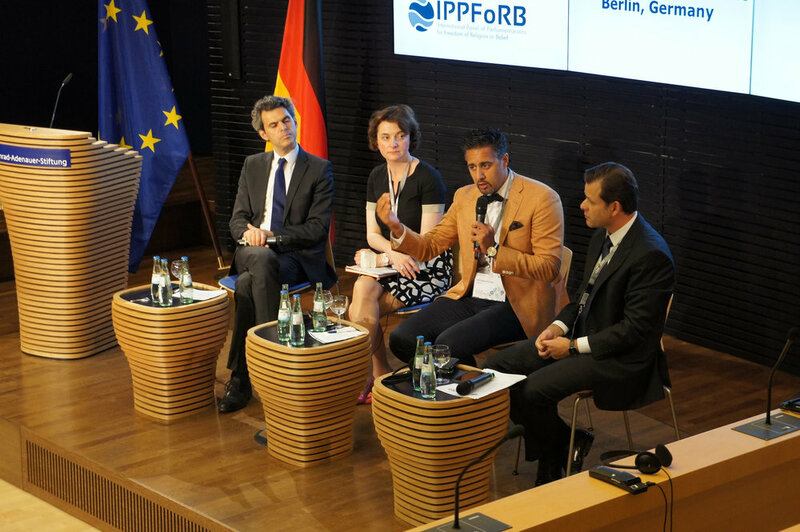 These set in motion an ambitious plan of consultation and collaboration with civil society on issues of FoRB. Panel discussions among parliamentarians and diplomats on the specific threat posed by ISIS repression and authoritarian governments. Hearing directly from religious leaders involved in the pursuit of FoRB, including a cleric from Iran, a bishop from Nigeria, and a Buddhist leader from Japan. Parliamentarians heard from Naghmeh Abedini, the wife of American pastor Saeed Abedini. Pastor Abedini had been jailed in September 2012 by the Iranian regime for peacefully exercising his faith in private homes. 67 parliamentarians signed a letter calling for his release.